It’s that time again for me to share a little behind the scenes from Shugary Sweets. As well as show you what I’ve done all month, what inspires me, and of course, what’s making me drool! So, in case you’ve been busy with spring and Easter, and haven’t stopped over, I’m glad you’re here! 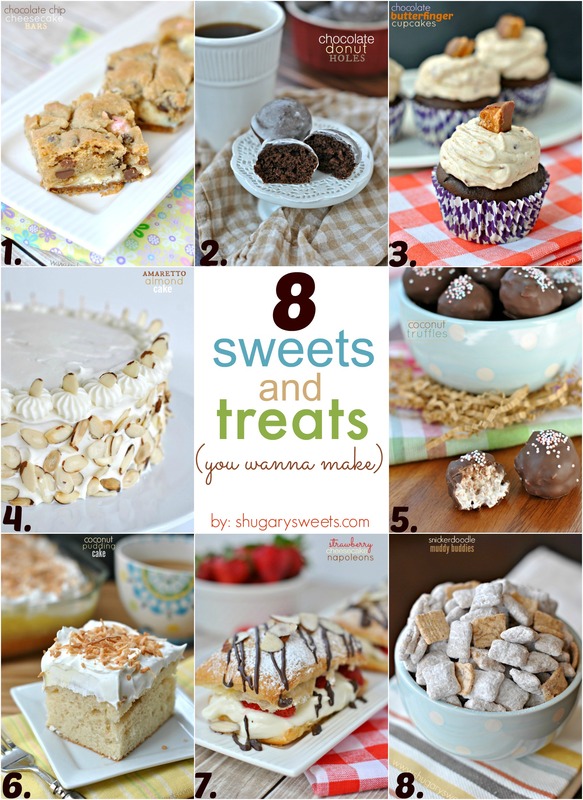 I put 8 new treats on the blog this month, waiting for you to bake and enjoy! Be sure to click around, pin them, read up. I’ll still be here! 1. Chocolate Chip Cheesecake Bars: I make a lot of desserts (obviously). Some are great, some you’ll never see on the blog cause they just weren’t “good enough.” These cheesecake bars were incredible!!! 2. Chocolate Glazed Donut Holes: I had been planning on making this recipe for over two years. Don’t make the same mistake. Make it TODAY!!! 3. 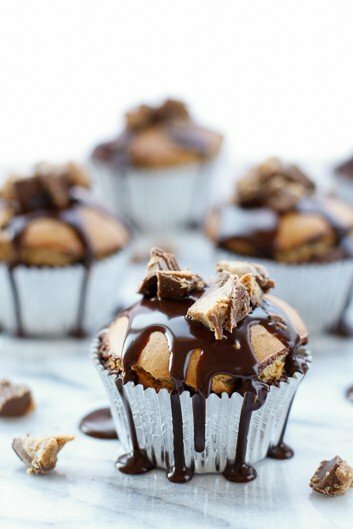 Chocolate Cupcakes with Butterfinger Frosting: I apolozize for the rant I had on this post. I just want to remind you, taking photographs of my food is part of my job. While I won’t alter the color, I will try to make the food look as presentable as possible, and if that means twine, napkins, and perfectly piped frosting, I stand by it! 5. Coconut Truffles: Easy treat made with a handful of ingredients. I also shared my fear of chocolate candy surprises. 6. Coconut Pudding Cake: Such an easy cake, and perfect for all those Spring/Summer BBQ and potlucks! 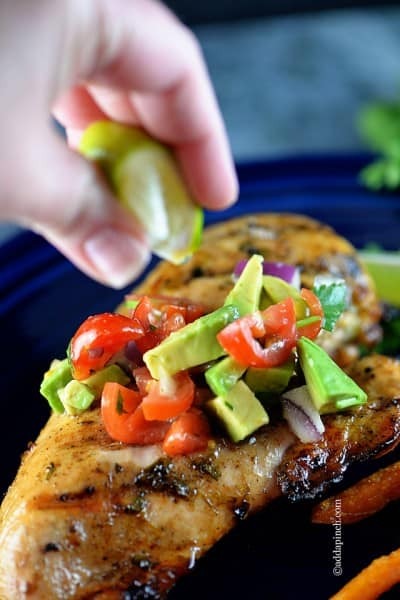 Everyone will want this recipe!! 7. Strawberry Cheesecake Napoleons: I can’t wait to make these again and again. They were such a hit, with that sweet creamy “white goopy stuff” as my husband calls it. Best food group around! So those are just the treats I shared this month. But I also had some delicious SAVORY food! Have you seen these yet??? 1. Butternut Squash Black Bean Enchiladas. My best attempt at eating a meatless meal, and it was quite successful! 2. Mango Guacamole. Just in time for cinco de mayo. 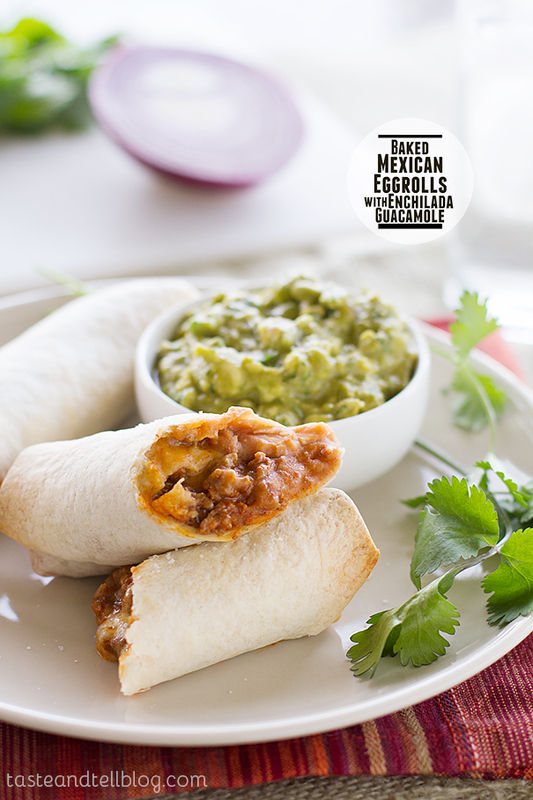 You’ll love the sweet mango paired with the zesty guac! 3. Chipotle Pork Tenderloin with Cilantro Lime Sauce. #PinkPork. It’s delicious. The end. 4. Saucy Cheesesteak Hoagies. I made you all a delicious dinner, perfect for weeknights, ready in 20 minutes. Easy peasy! 5. Greek Omelettes. I went on a visit to an Egg Farm and had a blast thanks to the Ohio Poultry Association. 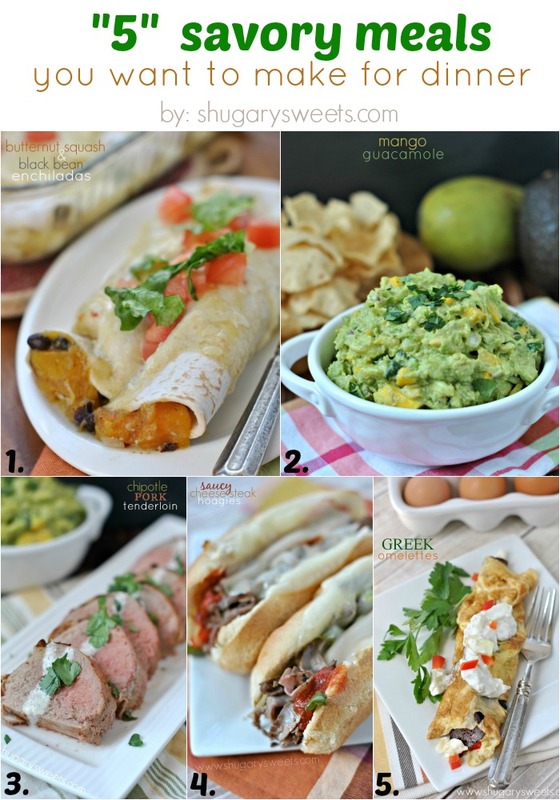 These omelettes are filled with all your gyro loving favorites! My friend Becca had few appearances on the blog this month too! 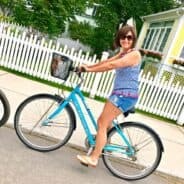 Not only did she create this delicious round up of over 75 Cinco de Mayo recipes, she also wrote a guest post for S’more Cookie Bars. I could use a dozen of these!! I know I don’t normally have guest posters here on Shugary Sweets, but I’ve got a crazy busy summer. Want to know why? We are leaving the beautiful state of Ohio to go back home. Home to Illinois. To deep dish pizza. Chicago hot dogs. Cubs and Bears. Portillo’s cake shakes. And of course, family and friends. We are so excited, but it’s a stressful thing to try to sell your home, buy a home, pack/move, and support my husband as he starts this new job opportunity! I would have to say keeping the house clean and ready is quite a challenge when your job entails making a mess in the kitchen! Hopefully I can keep up with everything, but if I don’t answer emails quickly, respond to comments, or other general upkeep, please don’t hate! I promise to be back. Someday. haha!! Actually I’m not really going anywhere. I’ve got a stockpile of recipes ready to share! Don’t fret! How about we drool for a little bit? Do you need to refresh your coffee before continuing? Go ahead. I’m still here! 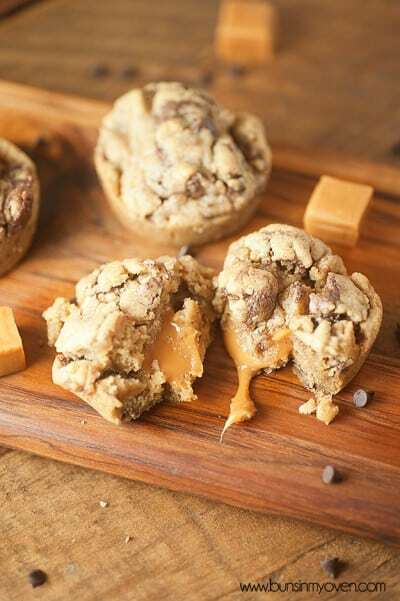 Peanut Butter Brownie Cups from Unsophisticook. 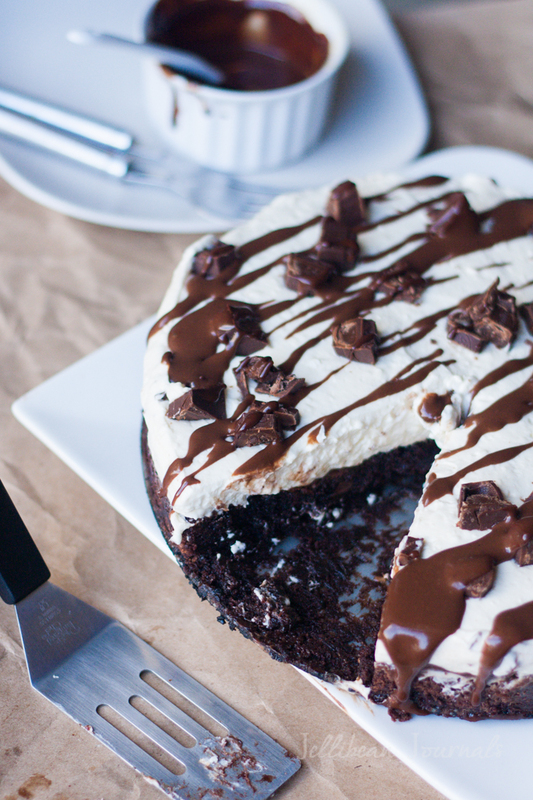 Are you drooling yet? 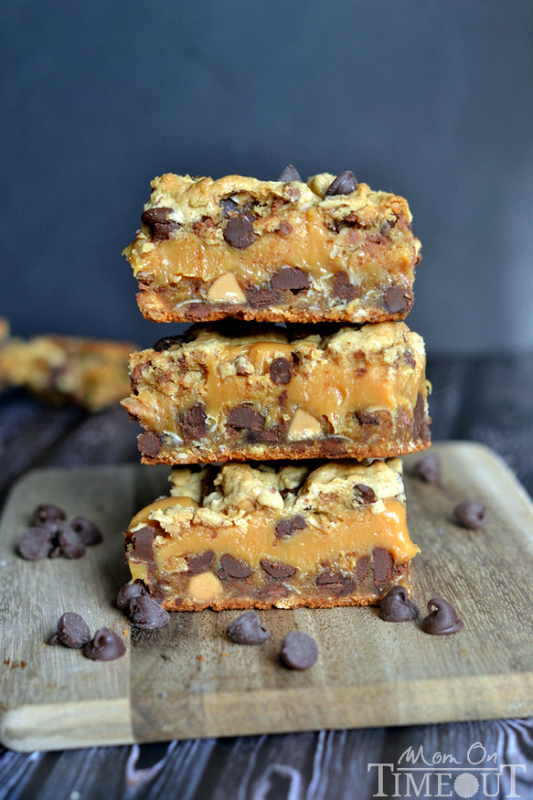 Peanut Butter Caramel Toffee Chocolate Chip Bars from Mom on Timeout. Say what now? Holy deliciousness! 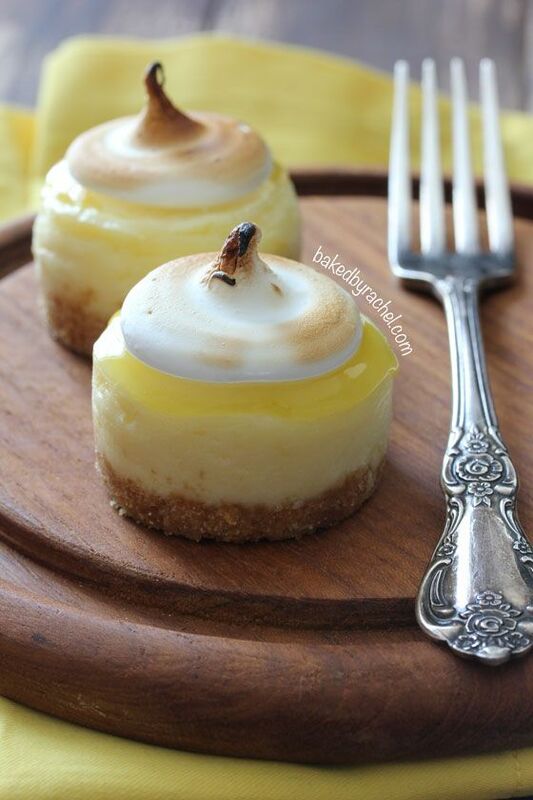 Mini Lemon Meringue Cheesecakes from Baked by Rachel. I choose citrus desserts over chocolate anytime. And cheesecake? WIN WIN. Taste and Tell is the EXPERT on my favorite comfort food! These Baked Eggrolls with Enchilada Guacamole looks AWESOME, perfect for Cinco de Mayo! 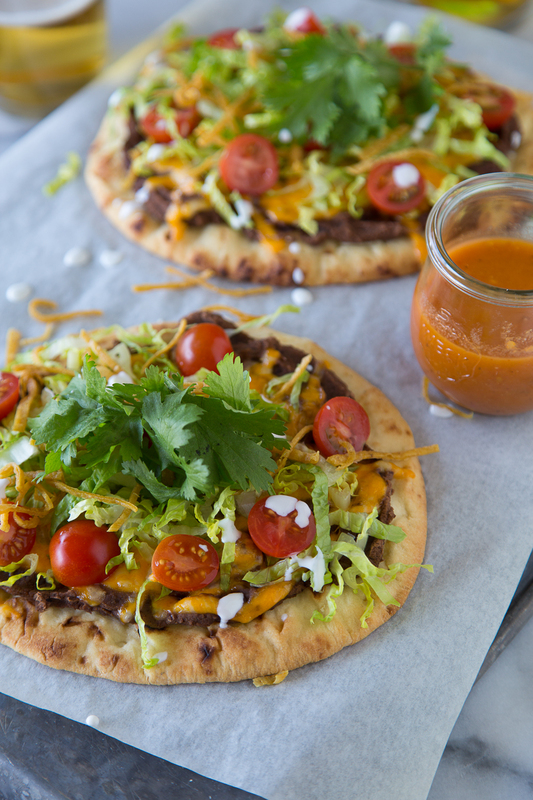 Taco Pizza from What’s Gaby Cooking. My family will devour a few of these in no time! Sour Cream Chicken Enchiladas from Blue Bonnets and Brownies. As I’ve mentioned before “goopy white stuff” is my favorite food group! Cilantro Lime Chicken from Add a Pinch. This is on our menu for this week. I can’t hardly wait!! Do you need to pause and get a tissue to clean your keyboard from that drool? Or go grab a snack cause I’ve made you so hungry?! I know the feeling!! 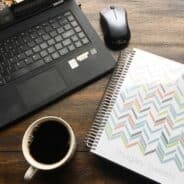 Let’s switch gears for a quick minute and talk social media. I’m sure you all are following me everywhere, right? I’m not sure if you’re aware of this, but just because you LIKE me on facebook doesn’t mean you will actually see my stuff in your feed. Facebook is very political, and they try to hide pages because they don’t want you clicking off facebook. But there are a couple ways to beat the system. Like, comment and share on my posts! DAILY. Seriously, that’s the only way facebook is going to think you like my stuff. So go ahead and click over and give some likes. I’ll wait…………did you do it? ?……..did you SHARE anything?…………..back yet? Follow me in the OUT OF THIS WORLD DESSERTS recipe page on facebook. 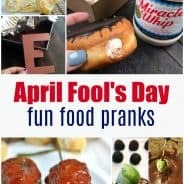 Then anytime I post to that group (along with some of my favorite recipe bloggers), you can see our stuff. Plus, it shows up in your “groups” on the left hand side of the facebook screen. You’ll see it there once you get added to the group. So go request to join now! Check out my group on facebook: The Recipe Club. Another group you can request to join. You’ll see our stuff in your feed, or you can click on the group in your tab on the left! This is my new workout. I have two daughters who swim competitively at a local high school. During their practice I’ve taken to hitting the outdoor track. 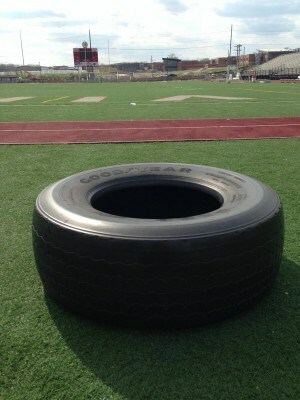 Running up and down bleachers, and attacking this tire. Lifting and flipping it has got to be one of the best workouts. Or worst, depending on my mood! Ha! No need for a gym membership! It’s perfect for me! The center pocket is large enough to hold my laptop and my blog planner. The other pockets hold my essentials…wallet, lip gloss, phone, charger, etc! It’s so adorable!! If you’ve not signed up yet for Stitch Fix, or have never heard of it before, give it a shot! Basically you’ve got a personal stylist who sends you 5 items in the mail (you first fill out a style profile). You get 3 days to decide what to keep/return. Which is perfect because you can try things on at home, with your other clothes, shoes, accessories! Your order comes with a return bag, so just stick what you don’t want in the bag and put it in your mailbox with the flag up! Easy peasy! You set up how often you want deliveries!! I get them monthly! Great bonus? Tell your friends and family, you get $25 credit for referrals! So, if you’re interested, sign up!! Follow Shugary Sweets’s board ***Out of this World DESSERTS!! *** on Pinterest. The droolfest that this post is, is out of control! Congrats on the move! New changes are fun, especially going back home – at least I think so! We are very excited, in a bittersweet way!! Thanks for stopping by Taylor!! I saw that bag when you posted it on Instagram and love it! I just received my most recent fix yesterday and I loved everything. Good luck with your move this summer! It is stressful moving, but at least you are moving closer to family. I love the bag too, glad you enjoyed your fix! It’s been a great month Amy! Lots of delicious treats. 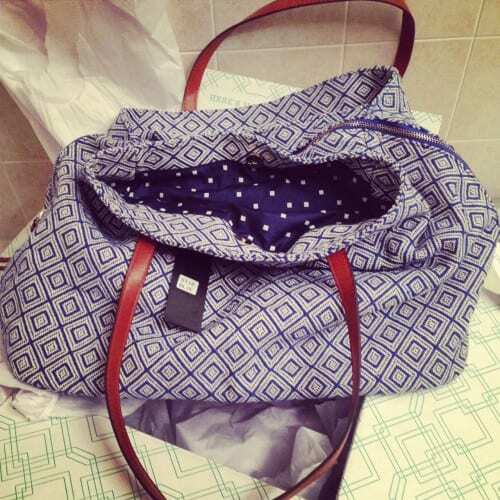 Love the bag from Stitch Fix. Definitely a keeper! 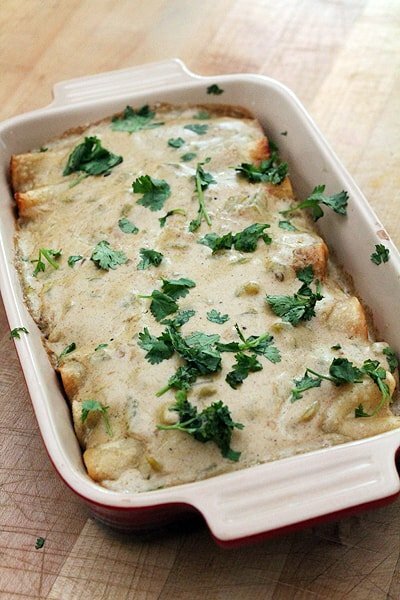 I’ve gotta give those Sour Cream Chicken Enchiladas a try. I want all of it, especially that cheesesteak!! The Cubs fan in me is so happy for you! So glad I was able to meet you before you moved. Thanks so much for including my Peanut Butter Brownie Cups, Aimee! It was so nice meeting you at the eggs event. Hope to see you again soon! You’re quite welcome. It was great to meet you too Tara!! UN-real, Aimee. All of your sweet desserts and savory meals look out of control! I want to try them all, like, right now. Looks like another tasty month for you! I enjoy your roundups. And will go like a Facebook post or two for you! Haha, thanks for liking some facebook stuff 🙂 I appreciate you stopping by! 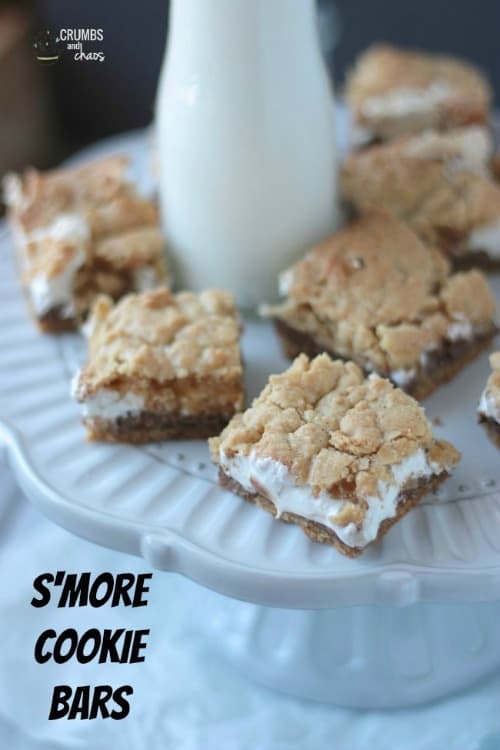 I am still in awe of the s’mores bars. I am going to make them soon! They look awesome, totally agree!! !